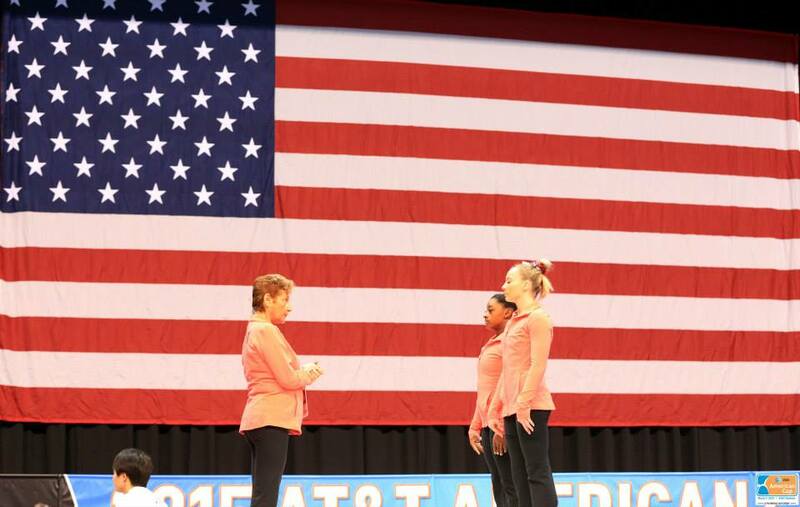 Heading into the series of competitions this summer that will determine the top gymnasts in the USA, it is helpful to to take stalk of all the gymnasts expected to make their mark in the 2015 elite season. In the first of this series, we will start by looking at the gymnasts that made up the 2014 World Championship team. TThey are without a doubt some of the front runners in the 2015 season. Below are the gymnasts, and where they could likely contribute to team USA on a world stage. Biles is without a doubt one of the most dominant gymnasts of all time. The combination of her innate natural talent, polished training and positive personality make her a female gymnast without equal. Healthy and at the top of her game, it is currently unimaginable that any gymnast in the US or the world could come close to catching her. Unless she is injured, stops training, or another gymnast bursts onto the scene, it is very likely that she will continue her all-around reign both this year and into the 2016 Olympics. When it comes to event finals, she has the ability to represent on all four. 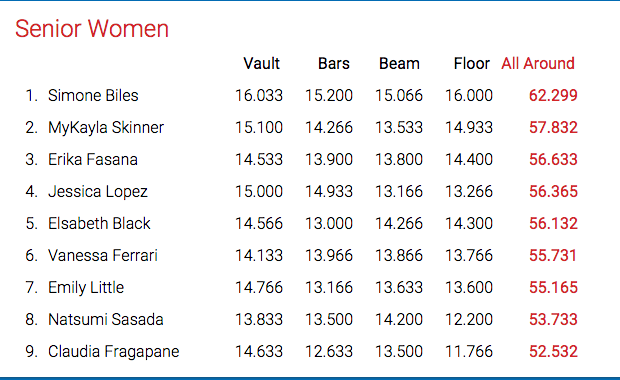 Only McKayla Maroney seems to have a shot at overtaking her in the vault (if she returns to competition), and Biles currently has not match on the floor. Kyla Ross, 2014 World Championships Team Final. Photo by John Cheng via USA Gymnastics. Ross has gone from event specialist in 2012 to team anchor ever since. For the 2013 and 2014 seasons, Ross has been second only to Biles in the all-around at both the National and World Championships. She has also been the team leader, voice of wisdom and steady rock for the rest of the US team. This year, Ross is working on adding in a bit more difficulty to maintain her standings in the all around and be competitive with the upcoming juniors. She has also grown a ton in artistry over the years, and become a crowd favorite on floor even if her difficulty does not usually allow her to get into the finals. Ashton Locklear, 2014 World Championships Event Finals. Photo by John Cheng via USA Gymnastics. Locklear burst onto the scene in 2014 to become the USA’s top bar worker. She had been injured the year before, so her level of difficulty was quite a surprise to most fans. She also has beautiful long lines and superb execution. She won the US national title on bars, represented the USA at the World Championships in the team final on bars and took fourth in event finals. Locklear has been injured at the start of this year, so this summer will be the first we see of her. She has been working to improve on her other events as well as maintain her stellar uneven bars set. Baumann is absolutely beautiful on beam. She represented team US in the team finals at the World Championships. In 2015, she also qualified to the event finals at the City of Jesolo as the second highest scoring gymnast in the USA. Baumann is clean and beautiful on all her events, and could represent Team USA on any event in a pinch. However, with the influx of new competition in the US, she has to improve her scores to continue to represent the USA. Beam is an event that the top all-arounders in the USA are strong on. She will need to show that she is even stronger. Skinner is known as the daredevil of the US team. She is the only one in the world to rival Biles in difficulty. She is especially exciting on vault and floor. Unlike Biles, Skinner struggles to complete her incredibly risky routines with clean execution. She has continued to improve in this area, enough to make the 2014 World Championship team and to make two event finals. She will have to continue to show major improvements in these areas this year to beat out the new competition. MyKayla Skinner- 2014 World Championship Floor Final. Photo by John Cheng via USA Gymnastics. Madison Kocian, 2014 World Championships Team Finals. Photo by John Cheng via USA Gymnastics. Kocian looked to be an incredibly strong candidate for the 2013 World Championship team, until an untimely ankle injury kept her out of the running. In 2014, Kocian was able to come back and represent the USA on her best event, the uneven bars, during the team finals. However, a mistake in qualifications kept her from qualifying to event finals. Kocian was injured again at the beginning of the year, so we have yet to see where she is fitting into the picture. However, at the top of her game she is a steady all-arounder and a top bar worker. Maddie Desch. 2014 National Championships. Desch made the World Championship team as an alternate. Desch has beautiful form, and can be strong on all four events. However, she lacks the consistency of many of the other gymnasts from the USA. She will be looking to improve in this to represent the US in the future. 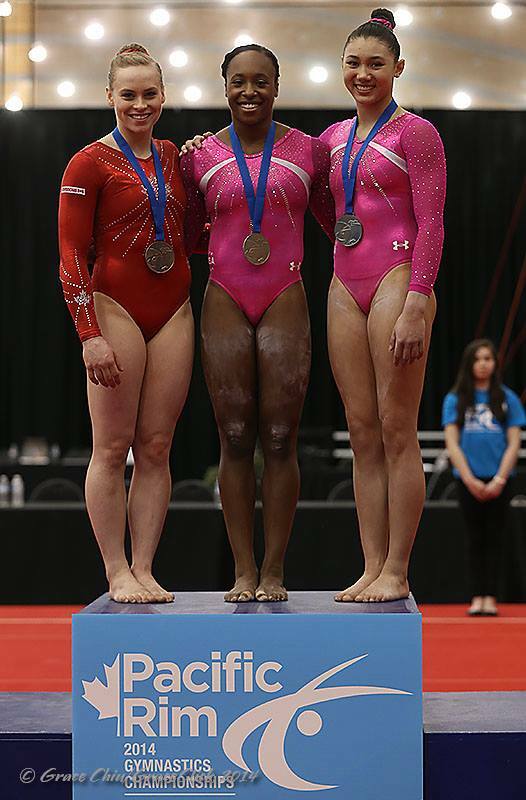 Three of the Fierce Five are undoubtedly back as players in the 2015 world of elite women’s gymnastics. Gabrielle Douglas, 2012 All-around and Team Olympic Champion and Aly Raisman, 2012 Team and Floor Olympic Champion are both hoping to make their comeback debuts at the 2015 City of Jesolo Trophy competition. Both have been at multiple national team camps, and are reported to look healthy and ready to compete. Kyla Ross has never left the world of elite gymnastics, and will be looking to continue to contribute to the US team as she has since the 2012 Olympics. 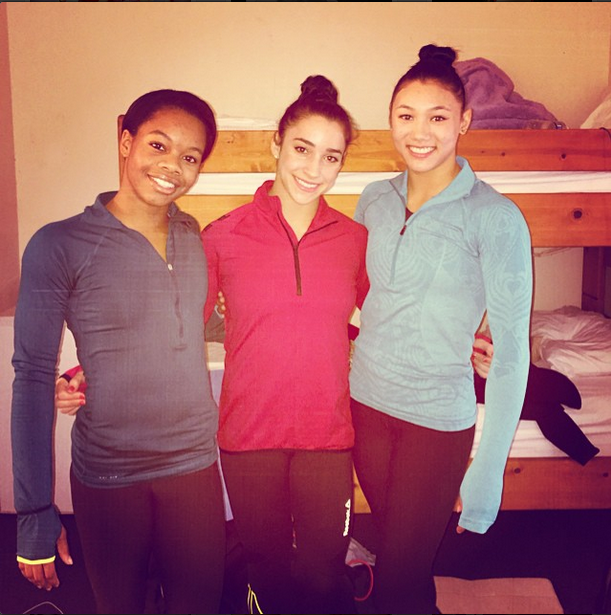 Raisman, Ross and Douglas are all working hard to compete at the City of Jesolo Trophy competition at the end of March. Kyla Ross has without a doubt become the rock and foundation of the US team over the last two years. Karolyi went on to say, “Kyla was always a girl who was very goal oriented, very disciplined and realizes that the every day hard work is what makes you better… Kyla as a person has become more and more confident with the years and the international success that she had and gradually she became a very quiet leader.” Ross is focusing 2015 on the one thing she has lacked over the past few years- increasing her start values. Ross is known for her perfect, high execution scores style of gymnastics. But she knows to continue to be the best of the best, she has to have more difficulty. “I have been focusing on the things I lacked last year, especially focusing on my difficulty and start value.” Ross in fact decided to stay out of the AT&T American Cup this year to give her more time to work on adding new skills to her routines. Check out the whole interview. After the 2012 Olympics, Gabrielle Douglass honestly didn’t know if she would continue on in the sport. But after going to competitions and seeing others compete, she really begin to feel the desire. Especially to accomplish what no one has ever done before – to win back to back Olympic All-Around titles. 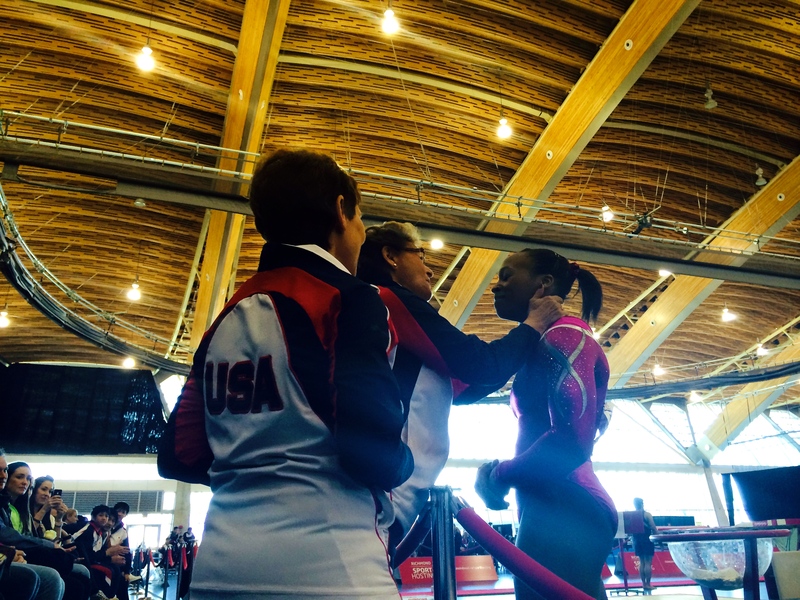 “No one has ever done it before, and that is definitely pushing me,” Douglass told USA Gymnastics. “Gabby is an extremely talented girl, said Marta Karolyi, “I love her bar work… We will have to see how she does on these other events. She is one of these girls that needs this environment.. to see what is happening with the other girls, what is everybody doing and get into the rhythm.” When Douglas thinks about her training, half measures will not do for her. “I really want to make it big and I really want to make it better than last time,” she says. Apart from the coveted Olympic title, Douglas does not have any individual international titles to her name. In addition to adding a second Olympic title, she will be looking to add more National Championship and World Championship titles along the the way. Check out the whole interview with Douglas and watch her training. And so that just leaves the most famous of the five, McKayla Maroney. Maroney has been incredibly quiet over the last year. After the 2013 World Championships, she underwent yet another surgery, trying to get her knee up to par for future competition. But Maroney has been absent from the elite scene far longer than her recovery should have taken, with no communication on her status. Recently, International Gymnastics Magazine published a teaser for their April edition with an update and promise of more details to come. In the world of elite gymnastics where youth reigns, it would be quite amazing for all four gymnasts to make the 2016 Olympic team. Simone Biles has been decimating the rest of the world of gymnastics for the past two years, and there are quite a few juniors who are incredibly talented and strong competitors. But the Fierce Five are appropriately named, and there is no doubt that each one will give an incredible fight to make the team.